11/13 BEADS BY DESIGN OPEN HOUSE The weekend of Nov 18-20 is the Beads by Design Open House. As a part of that event, SF invites members to make beads for the Beads of Courage kids. 11/13 TOOLS FOR TORCH TIME Southern Flames is asking members who may have duplicate or unused tools to donate them to our Torch-time area. This is the place at Beads by Design with torches that SF Members can rent. The donation of tools will make it easier for new beadmakers who have not yet purchased tools, or don't know what to purchase, to work. 11/13 DEMOPALOOZA Our annual Demopalooza event (Jan 24-25) in which we have multiple guest and member demos over a two day period is in the process of being planned and there is lots of excitement about it. Keep your ears and eyes out for more information - at the meeting; on our website; and perhaps on Facebook too. 9/28 BEADS BY DESIGN CLASS SCHEDULE The class schedule for October and November at Beads by Design is now available on their website. Click here to go to their home page. Classes are listed by month on the bottom left. BBD offers classes in Beading, Lampworking and Metalsmithing. 9/28 NORCROSS ART FEST.... MORE We have just learned that Diane Kovach and Donna Myrick will also have a booth at the festival and will be showing their new Steampunk Jewelry and Repurposed coats. Make sure to check them out when you are there. 9/26 NORCROSS ART FEST Oct 1-2, Norcross will have an Art Fest with 170 artists participating including Sylvie Lansdowne who doesn't usually do outdoor festivals. Its a great chance to see her wonderful work so stop by her booth. Click here for more info. 9/26 CABOCHON MY CABOCHON Karen Barefield will be teaching a class at FlameTree Glass on how to make cabochons on special cabochon mandrels. Learn how to make round, square and hexagon cabochons. The class will be held on Sep 28 Wed 5-7pm Fee: $50.00 Go to www.flametreeglass.com for more info and to register. FlameTree is located in Roswell at 470 S. Atlanta St.
BOC VIDEO Check out this beautiful video from Jean Baruch's visit at Scottish Rite. It was made by CBS News. SANDY SPRINGS FESTIVAL DK Designs (Diane Kovach and Donna Myrick) will have a booth at the Sandy Springs Festival to be held on Sat Sept 17 (9AM - 7PM) and Sun Sept 18 (11 AM to 5 PM). Click here for directions and details. 9/15 CLASSES AT FLAMETREE Three Southern Flames Members will be teach classes at FlameTree Glass. Click here for directions to FlameTree and additional class details. Marcy Lamberson will be teaching three classes at FlameTree. Margo Knight will demo a Halloween bead on October 6 at FlameTree Glass 6-8 pm..
8/31 9/3 BEADS OF COURAGE DAY Come by FlameTree Glass between NOON and 6PM to make a few beads for the BOC kids, visit with friends and have a look at the Beads in Space from the Endeavor Mission. It is a good time to meet Jean Baruch who founded and heads of the BOC program in hospitals all over the US. 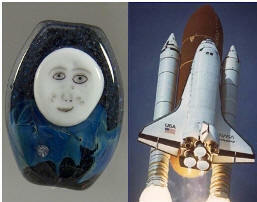 8/31 UPDATE: SPACE BEADS EXHIBIT 9/2 The Beads in Space tour will be coming to Scottish Rite Hospital on Friday, Sept 2. The celebration will be in The Zone at Scottish Rote from 3:30 to 5:30pm. Please come by to meet the Beads of Courage kids and families. BBD SEPT CLASSES/SYLVIEBEADS The class schedule for September Classes at Beads by Design is now available on their website. Click here to go to their home page. Classes are listed by month on the bottom left. BBD offers classes in Beading, Lampworking and Metalsmithing. 8/10 BEAD & BUTTON Each year Bead & Button selects 2-3 Master level Instructors - usually one in Beading, one in Lampwork and one in Metalsmithing. The 2012 the Master Lampwork Instructor is Jen Geldard who will be teaching here in October. So sign up now for an amazing teacher and what will be an amazing class. Click here for Class Details and the Registration Form. 8/10 SF POSTCARD The 2012 SF Postcard has just been posted on our Home Page. Such a beautiful job - many thanks to Valerie Stickles for doing the photography, Jennifer Fisher for the layout and Fred Fuerst & Sara Beech for organizing the collection of the beads and the production of the Postcards. 8/9 SPACE BEADS IN ATLANTA The Beads in Space from the Endeavor mission are back and are about to go on tour. They will be at the Children's Hospital of Atlanta on Friday, Sept 2 from 4-6pm. 8/9 BOC EVENT RESCHEDULED The BOC Celebration of Courage Event for the Atlanta Hospitals will be rescheduled from October until a date to be announced. When we know what the new date is, we will post it here. 7/18 BOC DAY FlameTree Glass will hold and all day Beads of Courage Beadmaking Day on Saturday, Sept 3. Make a lovely bead (or bead set or bead jewelry). Wrap it up beautifully . Make sure that you DO NOT identify who made the bead - either inside or outside the package. When you come to the meeting there will be a place to drop off your bead. Every one will pick a number from a hat - In this game a high number is good to have. The person who picked Number 1 selects and opens a gift. Now it's Number 2's turn. Number 2 has a decision to make. They can take the bead Number 1 has just opened or select and open a different bead. If Number 2 decides to take Number 1's bead, then Number 1 gets to select a new bead from the unopened pile and open it. Number 3 can select a wrapped bead or take Number 1's bead or Number 2's bead. This continues until each person has had a turn. The higher your number, the less chance of someone taking the bead you picked. Until the very last (highest number) person has their turn, nobody will know exactly which gift they will end up with!! NOTE: Once a bead has been "stolen" 3 times, it is out of play - in other words the third person who steals a bead gets to keep it - no one can take it from them. 7/8 SILENT AUCTION BEADS ISGB is looking for more bead donations for their silent auction event held at the Gathering. Even if you are not going to the Gathering, please bring a bead along with your business card to the next SF meeting on Wed 7/13 that you are willing to donate. Beads can also be left at Beads by Design any time until July 25th or at Flametree Glass until July26th. 7/7 BOC KIDS LIKE ... The Web Mama apologizes for not remembering the source of the information but it is important enough to include anyway - it is about the types of beads that the Beads of Courage kids in three age groups really, really like. Age 9 - Animal, Sports and also Character beads. The author also wrote "what we as bead makers think of as pretty beads are often the last ones picked, the children like things they can identify with themselves in some way. and food related beads fly out of the place.. cakes, cupcakes, hot dogs, ice cream cones, even .. fried egg beads." 7/7 BBD JULY-AUG CLASSES The class schedule for July and August Classes at Beads by Design is now available on their website. Click here to go to their website. Classes are listed by month on the bottom left. BBD offers classes in Beading, Lampworking and Metalsmithing. 6/22 JEN GELDARD CLASS LOTTERY Jennifer Geldard, a nationally known beadmaker, will be teaching two 2day classes for Southern Flames in October. (Oct 6/7 & Oct 8/9) The lottery for class places will be held at this meeting. Click here for detailed Class Information and bead photos. Click here for Lottery/Registration Form. 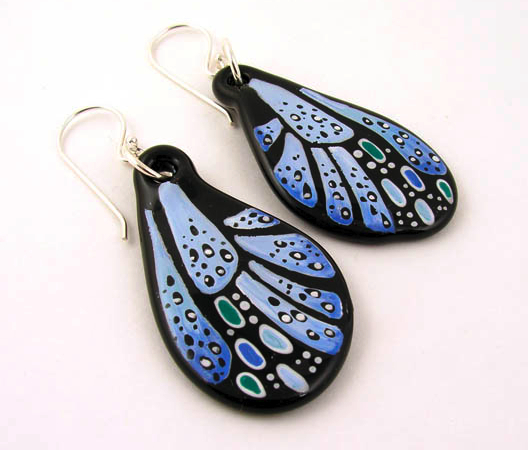 6/20 FLAMETREE WORKSHOPS FlameTree has announced its summer workshops and classes in for beginner and intermediate glass beadmakers. Also LOTS of borosilicate classes. Click here to see what is available and to register. 5/27 BBD JUNE CLASSES The class schedule for June Classes at Beads by Design is now available on their website. Click here to go to their website. Classes are listed by month on the bottom left. BBD offers classes in Beading, Lampworking and Metalsmithing. Three Demos by Hans Frabel - Bud Vase, Bird and Ornament. 5/22 FLAMETREE CLASS Sylvie Lansdowne and Marcy Lamberson will be doing a Sculptural bead demo at FlameTree Glass on June 2nd 6-8 PM Click here for more info. 5/22 JAN GELDARD CLASS Jan Geldard will be teaching two workshops in Oct - Oct 6,7 and 8,9. More information and the Lottery Date will be available soon. 5/1 MORE BEADS IN FLIGHT Congratulations to Don Meadows, Kristy Nijenkamp and Marcy Lamberson who along with Robert Simmons (see below) have also had their beads selected to go up on the last Space Shuttle flight. 5/1 SHE SCULPTS SEASHELLS Marcy Lamberson will be teaching Seashells and Starfish beads at FlameTree Glass on Saturday June 4th 12-2PM. 5/1 WELCOME TO THE NEW BOARD The 2011-2012 Southern Flames Board begins serving today. And many, many thanks to our outgoing Board members Becky Sizemore (co-president); Martha Fuerst (treasurer); Diane Kovach (vice-president) and Suzanne Patterson (event coordinator). 4/27 INTO SPACE Two of Robert Simmons beads will be going up in space on the last mission of the Endeavor and there is an article about Robert, his beads and his work for the Beads of Courage Program on the Georgia State Website. Click here to read the article. 4/27 DREAM BEADS Southern Flames member, Sara Beach, has written an article about the BOC Dream Beads program for Persephone Magazine which is a "daily blog for clever, bookish women"! Click here to read it. 4/27 MICHAEL BARLEY TOOL Michael Barley (who just taught an amazing glass for SF) designed a new lentil making tool that he now has available for sale in his Etsy store. If you want to make perfect lentils like Michael Barley, start your journey by clicking here. 4/5 BBD CLASSES The schedule of classes to be given at Beads by Design in April is now available on their website. Click here to go to their website. Classes are listed by month on the bottom left. 3/28 20% DISCOUNT Southern Flames new membership year begins May 1. We have a fabulous new benefit for members whose dues are paid for 2011 - a card entitling the member to a 20% discount on items purchased at FlameTree Glass. So pay your dues on time and make the most of this benefit. 3/28 SE REGIONAL DIRECTOR We are so glad to report that Gerry White. owner of Beads By Design has been elected to serve another term as SouthEast Regional Director for ISGB. 3/28 13,200 !!!! Thirteen thousand, two hundred is the phenomenal number of donated beads that Marcy Lamberson's Cricket Torch Raffle generated for the Beads of Courage kids. Marcy is a marketing genius and besides that makes wonderful beads. Click here to see some of them. Also, keep in mind that on June 4 at FlameTree Glass Marcy will be offering a 2 hour workshop entitled Shells and Starfish. Click here for details. 3/28 SPARKLE AND BLOOM Sylvie Lansdowne will be teaching a 2 hour workshop at FlameTree Glass on Tues April 5th at 5-7 PM. Sylvie writes "In this 2 hour workshop, we will focus on simple floral shapes and the use of pixie dust. Students will learn to create an entirely new color palette, including HOT PINK and deep purple by combining traditional soft-glass colors with mica powder (pixie dust). Click here for more information. 3/28 BEADS FOR BOC Before the Meeting on April 16, from 1-6PM, torches and glass will be available to make beads for the Beads of Courage Kids. Bring your own safety glasses and tools. 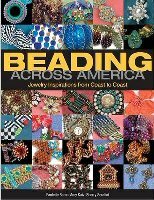 3/28 BEADING ACROSS AMERICA Margie Deeb will be at Beads by Design on Sat April 16 3PM- 6PM to discuss and autograph her brand new book Beading Across America. 3/11 POSTCARD BEADS DUE 3/19 If you would like to have one of your beads on the Southern Flames Postcard that is included in the Gathering Postcard Box, bring it to the meeting on March 19 or mail it to Becky Sizemore at 505 Princeton Way NE, Atlanta GA 30307 before the 19th. Click here for info and submission form. FRED FUERST GATHERING AWARD. Congratulations to Fred Fuerst on winning a free Gathering Registration and 3 night hotel stay. (See the letter below from Alethia Donathan.) He should win another award for all he does for us at Southern Flames. "Dear Fred,.... Hope all is well. On behalf of ISGB I would like to take this opportunity to thank you for volunteering at the Rochester Gathering. Each year the ISGB Gathering relies on members such as you who take extra time out of their schedule to volunteer at the conference. I am pleased to announce that you were randomly chosen as a recipient of a 2011 Hyatt Award for Volunteerism. The Hyatt Award will include a complimentary full conference registration and a three-night stay in an upgraded room at the Hyatt Louisville. ... Please confirm your acceptance of this award by replying back to me at this e-mail. ..... Again, congratulations "
2/28 SALE AT BBD Beads by Design is celebrating its 13th Anniversary with a 4 day sale. On Thurs through Saturday, March 3-5, everything in the store will be 20% off. Thank you to Gerry White and Beads by Design for all they have done to support Southern Flames during their 13 years in business. 2/28 THE ART OF SCIENCE; THE ART OF CARING Georgia State University just published a wonderful article about Robert Simmon's work with the Beads of Courage program. Click here to read it. 2/24 PMC BEAD TUTORIAL Joan Houghton-Theall has sent us a copy of a wonderful illustrated tutorial she presented to the PMC Guild on making beads from silver clay. It also include as section on making hollow beads on a silver clay core. Click here to read it and we will also put a copy in the Tips and Techniques section. Thank you, Joan. (Note - it takes a couple of minutes for the file to download because there are lots of photos). 2/24 BOC/ CRICKET CONTEST ENDS SOON Reminder - If you want to have a chance to win the Cricket Torch that Marcy Lamberson is raffling off, send in your donation or your beads. The deadline in Feb 28th. Click here for all the details and also to see all the wonderful beads that were donated. 2/24 DEMOPALOOZA PHOTOS Photos from our fabulous DemoPalooza are available in our scrapbook. There are lots of them! Click here to look at them. 2/24 BBD MARCH SCHEDULE The schedule of classes to be given at Beads by Design in March is now available on their website. Click here to go to their website. Classes are listed by month on the bottom left. 2/3 THE FLOW Congratulations to Marcy Lamberson, Robin Snuttjer and Kristy Nijenkamp who are featured in the Women In Glass Winter Issue of The Flow Magazine. 2/3 MICHAEL BARLEY HURRY! Only one spot left in the Michael Barley Classes - it is in the Thurs/Friday class on March 17/18. Click here for class details. 1/28 BOC at GWINNETT MEDICAL CENTER Robert Simmons just sent us this link to an article featuring two children who are part of the Beads of Courage Program at Gwinnett Medical Center. One is a 3 week old infant in the Neonatal Unit. Click here to read the article and be sure to scroll all the way to the bottom. 1/27 ANNUAL GARAGE SALE SF will have its annual Garage Sale at the February 16 Meeting. Click here for details. 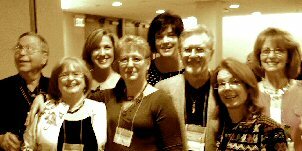 1/27 SF GATHERING SCHOLARSHIP For the past few years, Southern Flames has sponsored a scholarship to the annual ISGB Gathering. Applicants are evaluated by an ISGB committee but members of Southern Flames are considered first for this scholarship. This years Gathering is in Louisville KY and is drivable so a scholarship will go a long way in financing your attendance. For details about how to apply, click here. For advice and/or more information you may want to contact Marie Shackelford or Suzanne Patterson, past SF Scholarship winners. 1/27 WIN A CRICKET Marcy Lamberson is is "paying it forward" by putting up the GTT Cricket Torch that she won in the FlameTree Christmas competition as a prize in a brand new raffle to support Beads of Courage. For every 25 beads you make for the BOC kids or for every $25.00 you donate to the BOC program, you get one chance to win the Cricket. Click here for all the details. 1/27 POSTCARD BEAD It is time to start thinking about the bead you want included on 2011 Southern Flames postcard. Deadline for submitting the bead will be in March - exact date to be announced soon. 1/27 BEADED COUTURE! Beaded Couture Bead Store has moved from Conyers to Snellville. New address is 3355 Hwy 78, Ste B Phone is 678 698 9433. 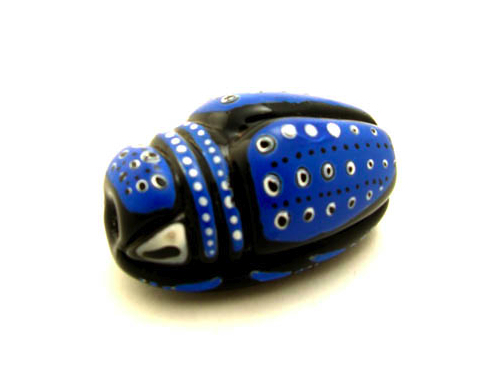 For more info check out our Atlanta Area Bead Store section. 1/9 NEWNAN GA New beading store - Cherrygons Beading Gallery - opening in Newnan GA. Listed also in Atlanta Area Bead Store section. 1/6 PARTY PHOTOS Marcy Lamberson took photos at our Holiday Party and they are now posted in our scrapbook. Click here to see them. B&B 2011 BEAD This year's Bead&Button Show commemorative bead is by Sara Sally LaGrand who we are lucky to have teaching at Southern Flames later this month. Click here if you want to see the bead and/or order it. It is smashing! 1/4 DEMOPALOOZA Click here to read the new January edition of the Southern Flames Newsletters with all the details about Demopalooza starting at our Sat Jan 22 meeting and continuing on Sunday. The newsletter will also explain how to order lunch and a special DemoPalooze T-shirt which is FABULOUS. Thank you Sylvie Lansdowne! 1/4 MICHAEL BARLEY CLASS LOTTERY Michael Barley will be teaching 2 classes for Southern Flames on March 17-18, 2011 and March 19-20, 2011 The lottery for these classes will take place at the January Meeting on Sat 1/22. If you are not going to be at the meeting, checks are due to Martha Fuerst by Jan 21Click here for class details and for the lottery form. 1/4 BBD JAN FEB MAR CLASSES The Beads by Design class schedule for January, February and March has been posted on their website. It includes classes in Beading as well a Metalwork and Lampwork. Click here to go to their website. Classes are listed by month on the bottom left.